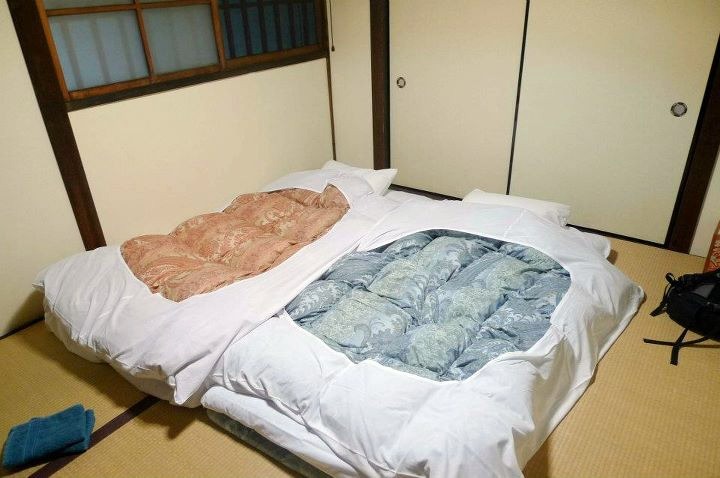 One of the challenges when traveling to Japan is looking for good but not too expensive hotels. The choices on the Lonely Planet were so-so (and a bit expensive) so I had to google for Kyoto guesthouses. 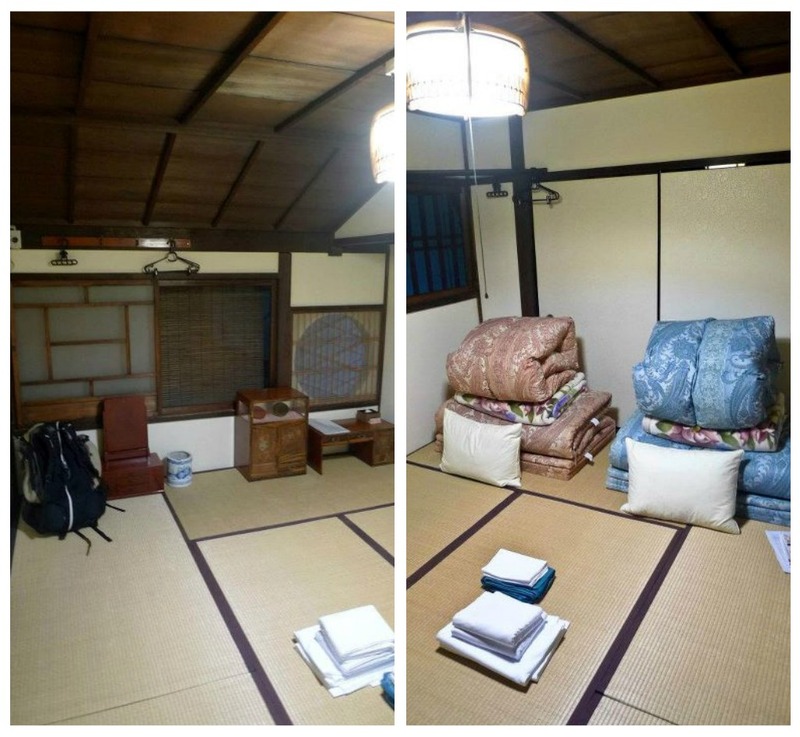 Guesthouses are usually old Japanese houses that they have converted to some sort of bed and breakfast minus the breakfast. Or you can also say it’s a more adult version of a hostel. 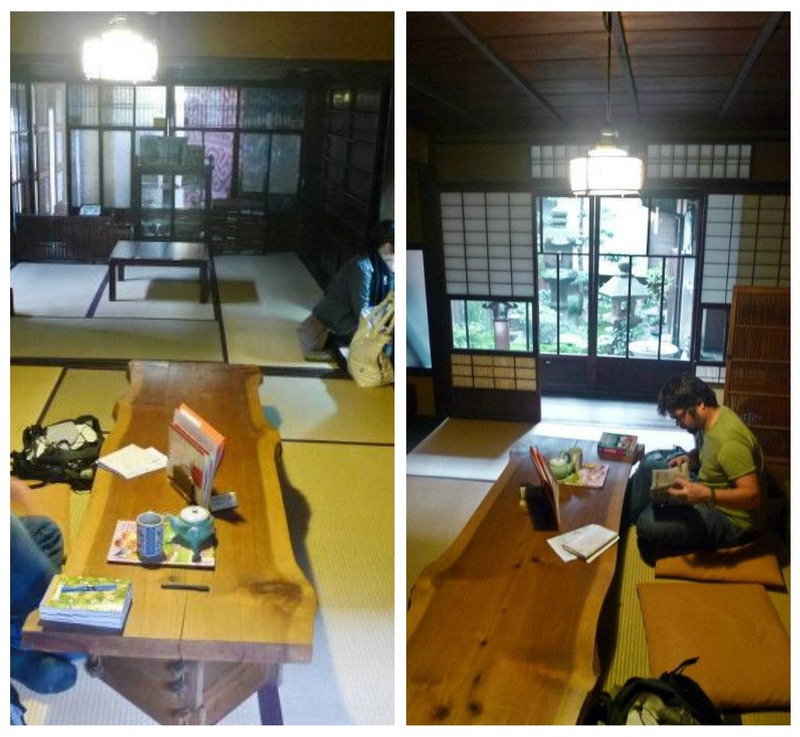 I stumbled upon Uronza’s website one day and decided there and then that this is were we are going to stay in Kyoto. We were going to spend our nights in a Kyo-machiya. 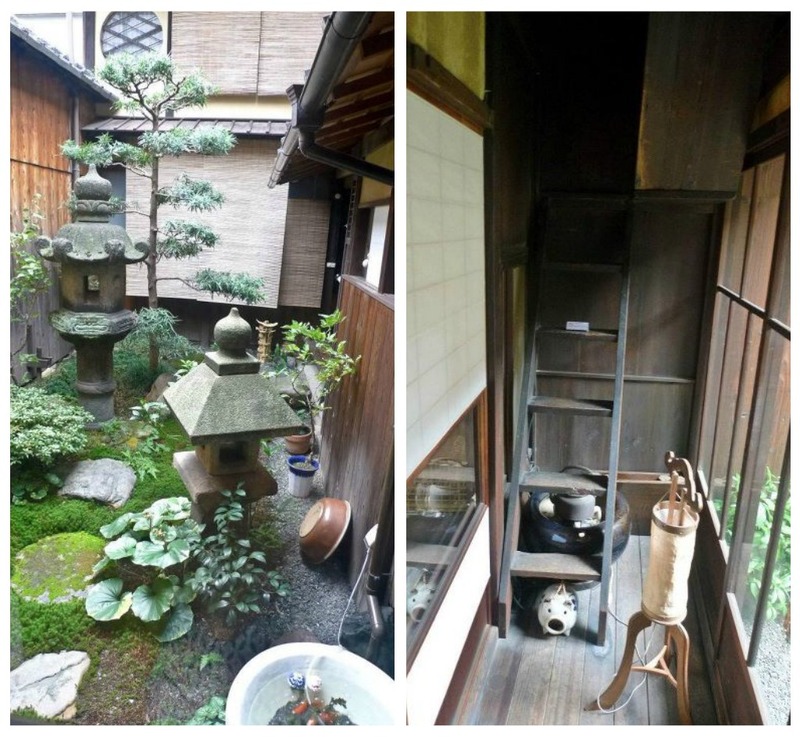 A Kyo-machiya is a traditional Kyoto-style house in which ordinary Kyoto people live. It has several typical elements such as Koshido (a wooden lattice), and Mushikomado (a windows in the shape of an insect cage). 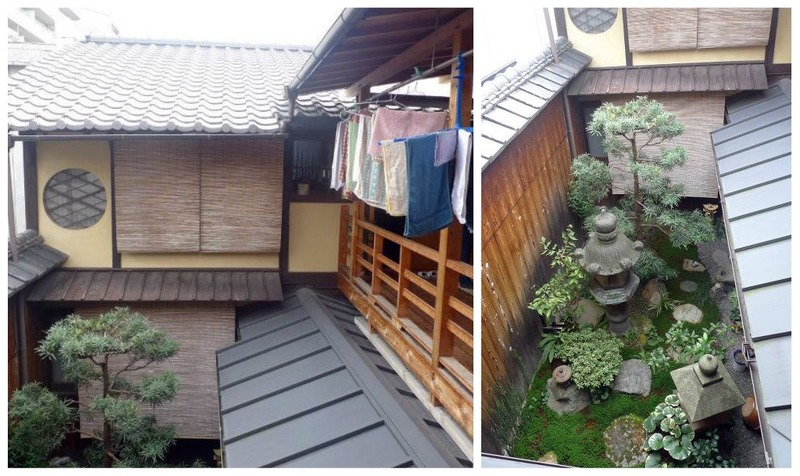 The characteristic layout of such houses, long and narrow, is called unagi no nedoko (eel’s bed). All machiyas were built with traditional construction methods. Entering a Kyo-machiya, most people feel a sort of nostalgia, the feeling we usually have about the dear old home. Your eye will be caught by the Doma, a long interior passage connecting the street and the inner part of the house. And, after walking one more pace, you will step into the Hibukuro (it’s more than seven meters…about 25ft. high. ), a stairwell conveying an inexpressible feeling of openness. The walls are made of real wood and earth, not plywood or mortar. Partitions such as sliding doors, called shoji and fusuma in Japanese, and folding screens (byobu) create flexible, multi-purpose spaces. It doesn’t matter if you visit a Kyo-machiya for the first time or have visited many times before, it has always the atmosphere that will make you feel hokkori (a word, used in the Kyoto area, meaning ‘to rest’, ‘to relax’, ‘warm’). That’s the small garden in the middle of the kyo-machiya. The set-up is just like a house. So the facilities are shared. But we don’t mind. The place was super clean. They close between noon and 4pm to clean up the place. The toilets are awesome. 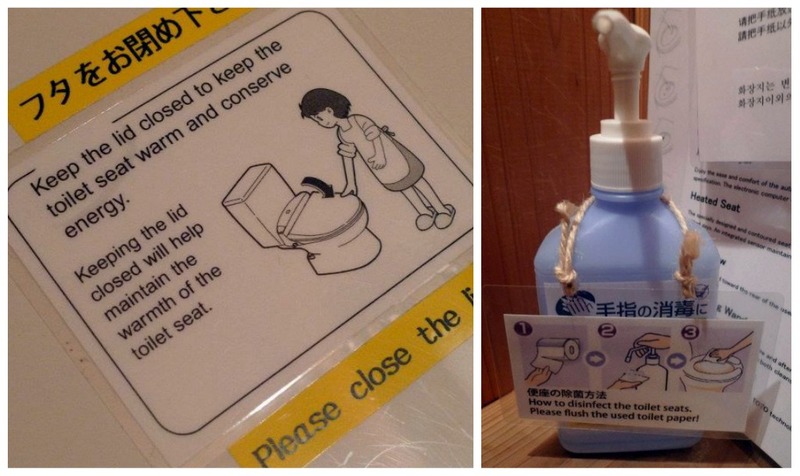 The seat is heated, there’s a remote, there’s a toilet seat cleaner and the sink is on top of the toilet’s water reservoir. Very green thinking. You flush using “used” water. Great water saving technique. This is our first room. It’s at the back of the house just after crossing the garden. We were a bit apprehensive about making our own futons. But the owner showed us how to do it and it was easy peasy. There’s no breakfast but there is free tea and coffee. There’s also free internet. 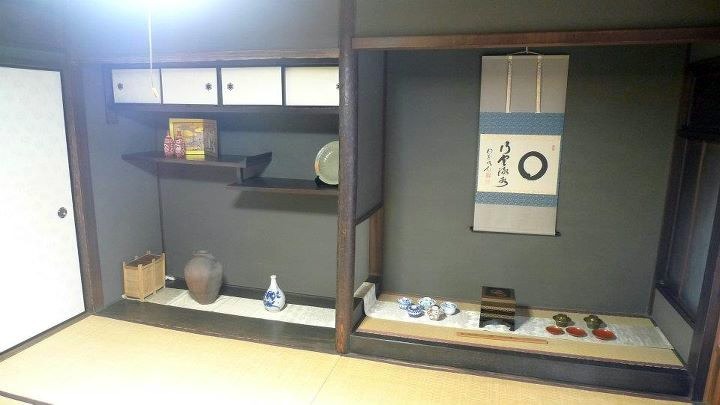 The owners also do a tea ceremony every Wednesday night in the living room. After 2 nights in Uronza, we spent a few days in the Hida region. Then we went back to Kyoto and stayed here again. But this time we were in a different room. It was bigger and was on the main part of the house, just on top of the living area. We were just across from our old room. Does the circle window look familiar? The decorations in the room were sparse but impressive. 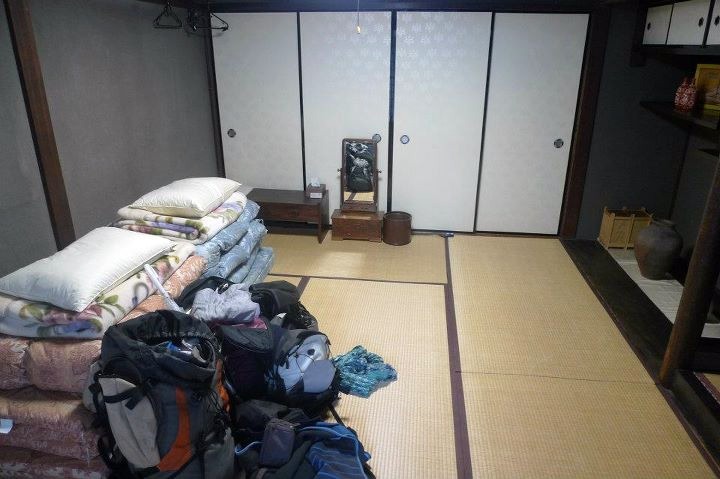 Not bad for only 2500 Yen per person per night. I read somewhere that you shouldn’t put your bags in these alcoves because they serve as decoration pieces. So our bags were strewn all over the place. The place is a bit far from Gion and the Kyoto station but it’s just a few blocks away from the Nijo-jo and the shopping streets. So from the station you might want to take a bus to the hotel but once you’re there you can just walk around Kyoto and drink in the sights. I would highly recommend this place for those planning to visit Kyoto. Especially if you are on a budget. More info on the prices and on how to get there at the Uronza website.